This past week I’ve been busy with the exams, any off-time I got went into the karting game. Let me know what you think of the logo/game through twitter or facebook if you feel like it! 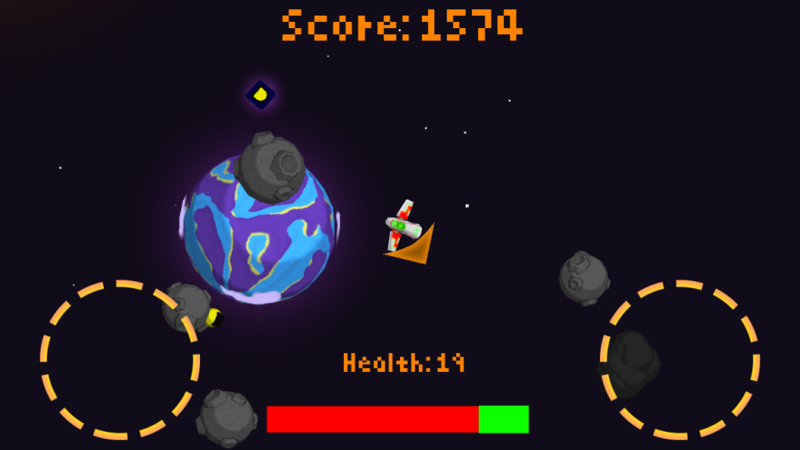 Aside from that I’ve implemented ads into my free android game (Space - https://play.google.com/store/apps/details?id=net.ShadowBrain.SpaceShooter) and started to try and make some money. I’m also in the process of getting an actual one-man company started, really excited to take the leap and see what happens! I’m planning on getting this kart game out on android and ouya to start with, thinking of maybe looking at PSVita as well now that Unity is working on getting Playstation Mobile support, which allows building games for the PSVita without requiring a devkit, which is great! I’d just have to find a cheap 2nd hand PSVita to test it on, but I’ll figure that out once Unity’s Playstation Mobile support is up and running. May 6th is a pretty big deadline for me, my school has the open house thing I talked about in past blog posts then, which basically means free publicity for my then-brand-new game company, so I’m trying to get an alpha build up on the Google Play store of the kart game, but I also have the school project thing to finish. I’m thinking it’s totally doable, but it might become a bit of a close call if I take too long getting the alpha ready. 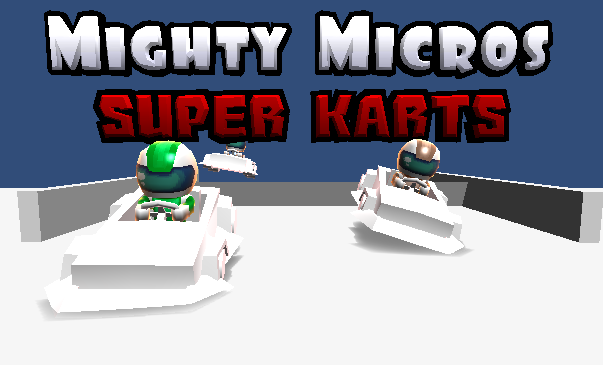 My plans for the alpha is to be a sort of preview of the full game with slightly less polished art and only about two or three tracks, hope it’ll attract some fans for when the full version’s ready which I’m hoping is gonna have Google Play Realtime Multiplayer in it, as well as about 8-10 tracks and characters, plus a few kart variations a-la mariokart wii, where they have 6 variations for each of the 3 weight classes kart-wise, and the karts get a skin based on which character rides them. That’s about all I have for this week, hope my whole game company plan pans out well enough for me to keep making my own games! 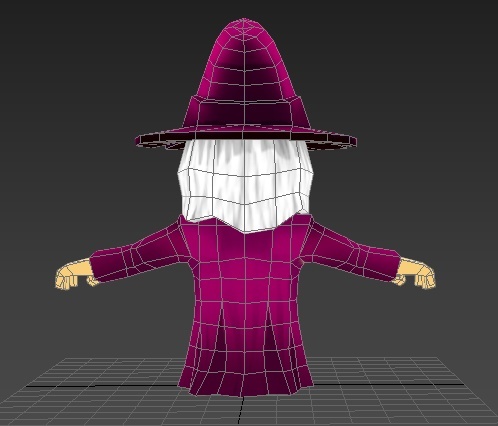 A new challenger approaches: Meet the Wizard! 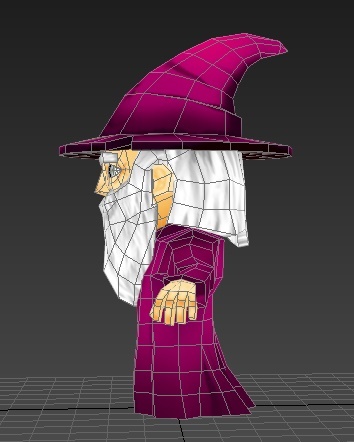 This week I focused on completing the first player class: The Wizard. 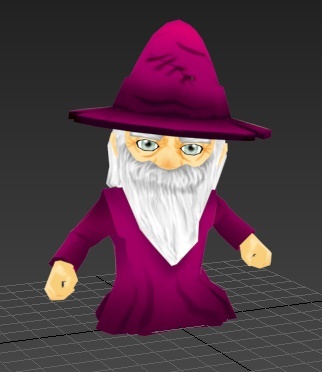 The model is pretty much done, I didn’t get as far with him as I wanted to though, he hasn’t got any cool animations yet and his staff is far from done. 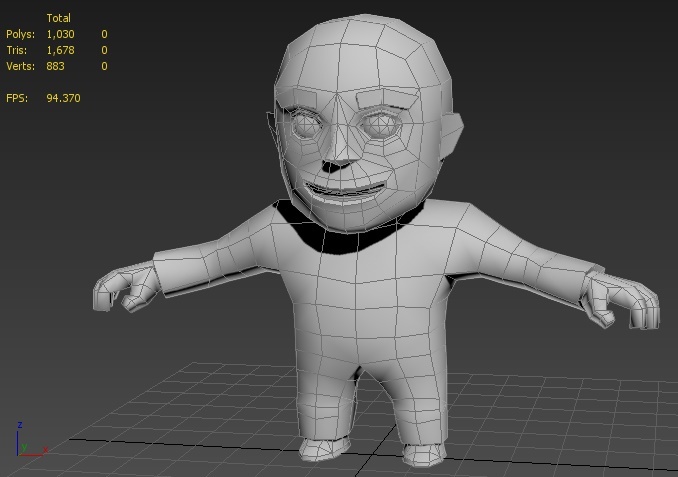 I did get him rigged up though! 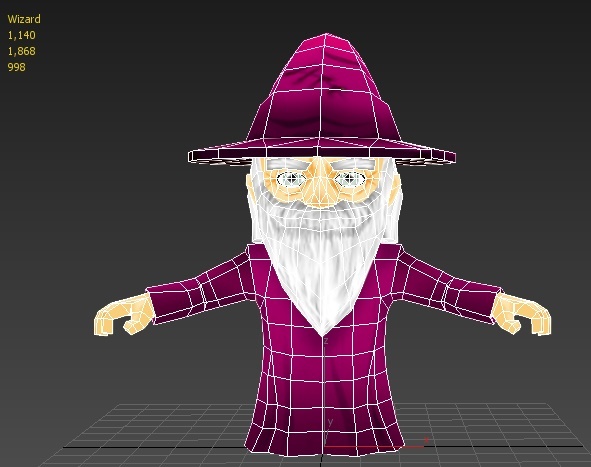 I plan on finishing up his animations tomorrow during school so I can focus on implementing him into the game when I get home. 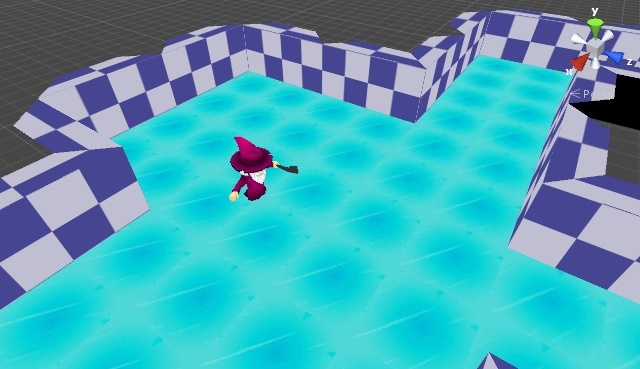 I’m going to soften out the corners and give all the walls a more carved-out ice cave look, as well as making the floor look less like ice blocks and more like a mix of snow and ice ground. On my planning it says I’ve planned next week to flesh out the gameplay a bit more as well so expect a few gifs in the next post I make! I should have a proper name for this game by the next post as well, together with a first draft of the logo. That’s about all I have this week, I’ll be back next week, same place same time! 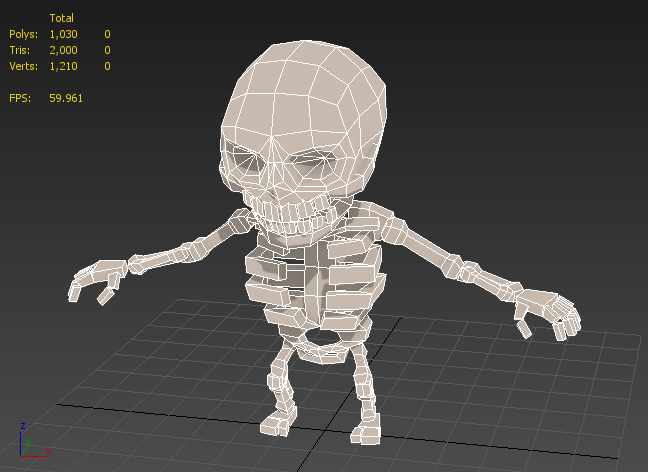 So this week I focused on getting the basics of the first enemy in and done, I got pretty far but it’s not completely done. That’s about all I did this week, next week is going to be focused on the player character entirely, both visually and technically, aswell as putting in some basic level blocks to input into the level generator. Final School Project – Week 1: Planning and doing things! 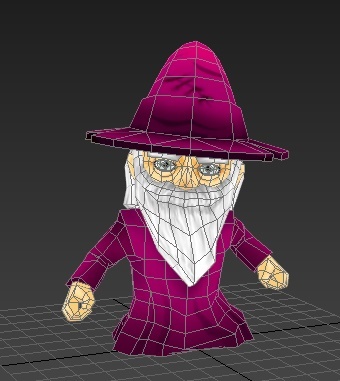 So I’ve finally started work on my final school project. The first thing we had to do is make a short and clear description of the project, after which we got some feedback and then we had to make a final plan which included a sort of asset list of the things we’d promise to get finished. I have no idea if I can finish all that, but I sure as hell am gonna try to. Cave blocks: Max 400 tris, can’t be too high-res due to them being repeated throughout the caves. 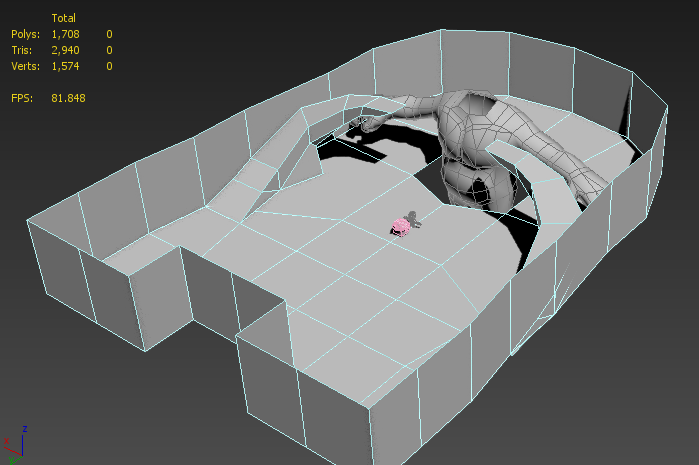 Now that that’s out of the way, here’s what I’m currently working on! Keep in mind that these are all still work in progress! I suppose that’s all for this week, hope I can keep up with posting these types of posts every week!